After starting the Grafana server service, assuming InfluxDB is also running, head on to your browser and open the localhost at port 3000 which is the default port for Grafana (localhost:3000). There, the first step is to add a Datasource. Using the menu on top-left of the page, go to Data sources and add a new data source. Here you need to give your new data source a name and make sure to select the Type as InfluxDB. The address will be HTTP address of InfluxDB (http://localhost:8086). On the bottom of the page, enter the name of your database (remember we created a database named embedonix). After saving the data source, it is time to create a dashboard to get visualized data for our test scenario. Head to Dashboards and select new to create a new dashboard. In the dashboard window, click on the Graph to create a new graph. Doing so will create a new panel named Panel Title which is filled with some default data. If you right click on the title you will be able to select Edit option to edit the query. What we want is a query to get data from our my_house_data measurements. 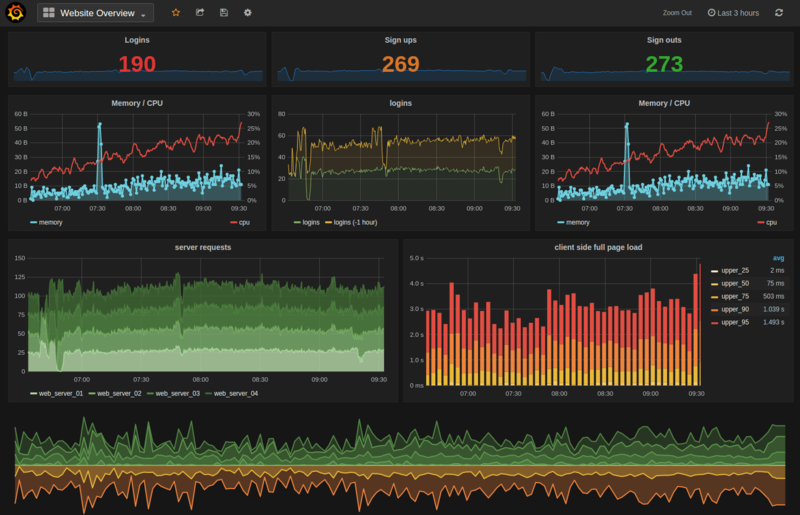 Since it is hard to explain this process with words, please watch the quick video below to see how to configure Grafana to show the saved values in InfluxDB!